Kaieteur Falls was one of those waterfalls that we bent over backwards to see – and we were sure glad that we did! 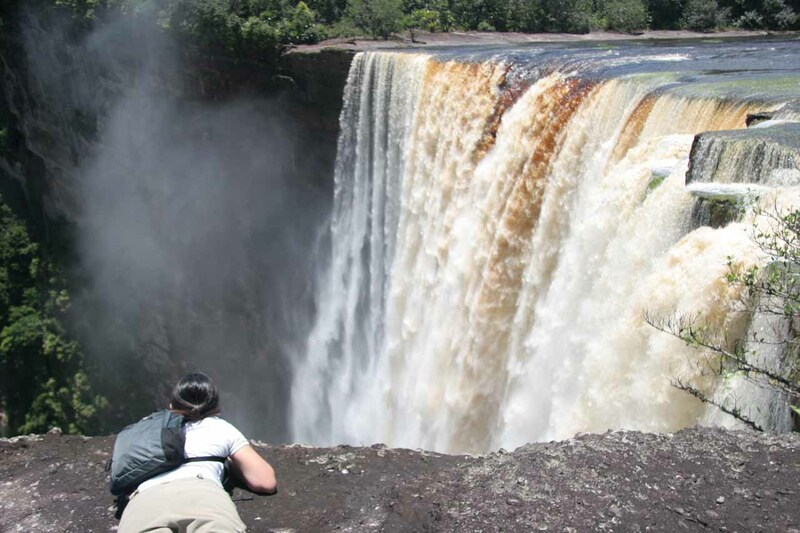 It was perhaps Guyana‘s greatest scenic wonder in our minds as it was where the Potaro River was said to drop some 221m with a width of nearly 100m (though rainy-season dimensions of 741ft high and 370ft wide were often quoted). 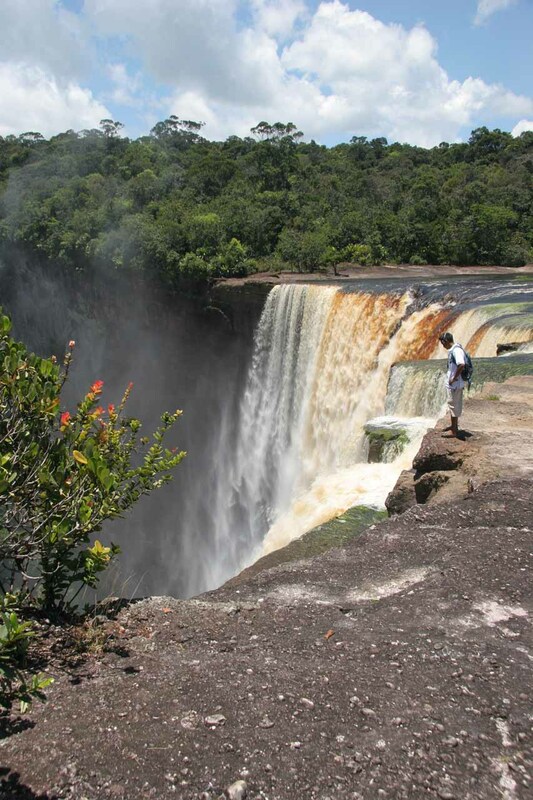 Indeed, this waterfall sported world class dimensions, but perhaps even more impressive was the fact that the waterfall was in an area that was probably as undeveloped and as pristine as we could recall. 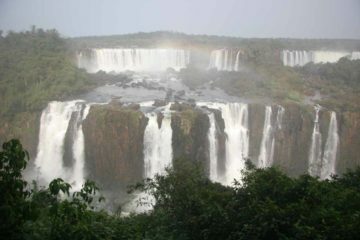 In terms of academics, there were claims that this waterfall was the tallest permanent single-drop waterfall in the world. That technicality of it being permanent and single-drop was important, but then again, I swore Norway had Vettisfossen, which was also a permanent single-drop waterfall that was taller. 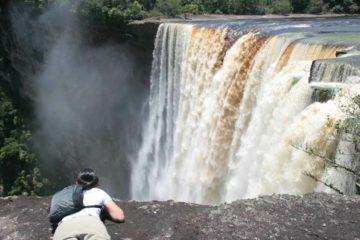 Trivial technicalities aside, there was no denying the grandeur and awesome beauty of this waterfall. 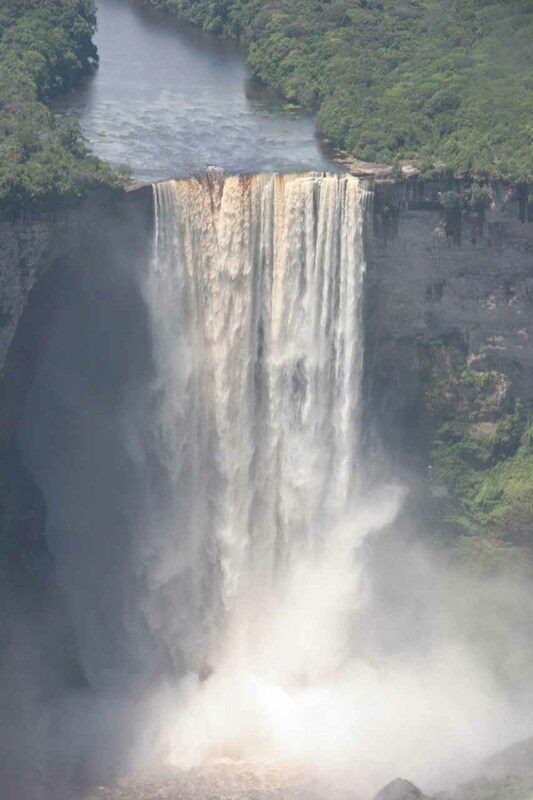 I tend to think of Kaieteur Falls as that “in between” waterfall that didn’t quite have the width and power of the Big 3 (Iguazu Falls, Victoria Falls, and Niagara Falls) nor the height of the tallest waterfalls in the world (e.g. Angel Falls or Yosemite Falls). Still, it was taller, wider, and more powerful than most of the world’s other waterfalls and definitely ought to get more props than it currently gets. 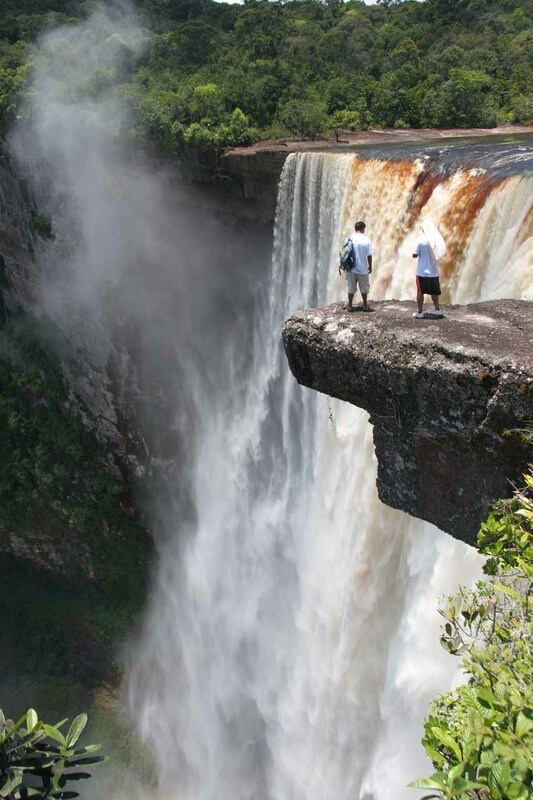 We certainly thought high enough of this falls that we made a place for it on our World’s Top 10 Waterfalls list. 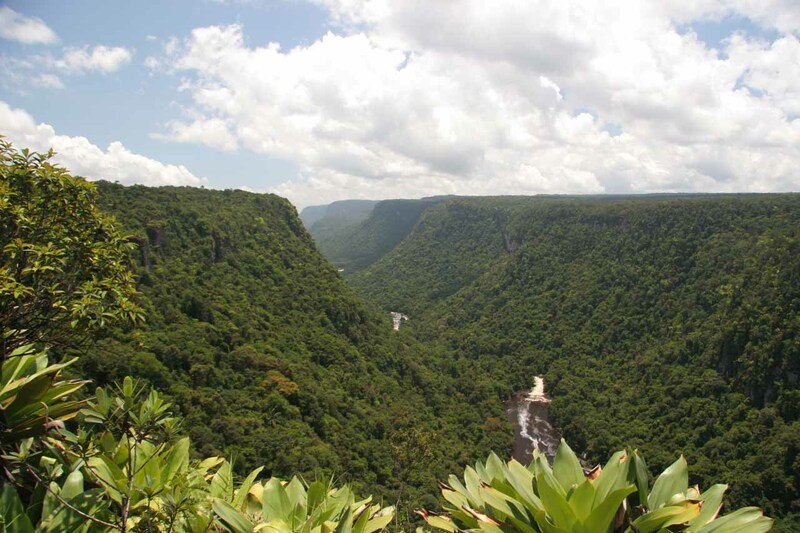 The nearly pristine rainforest that the falls was nestled within was also part of ancient geologic history. 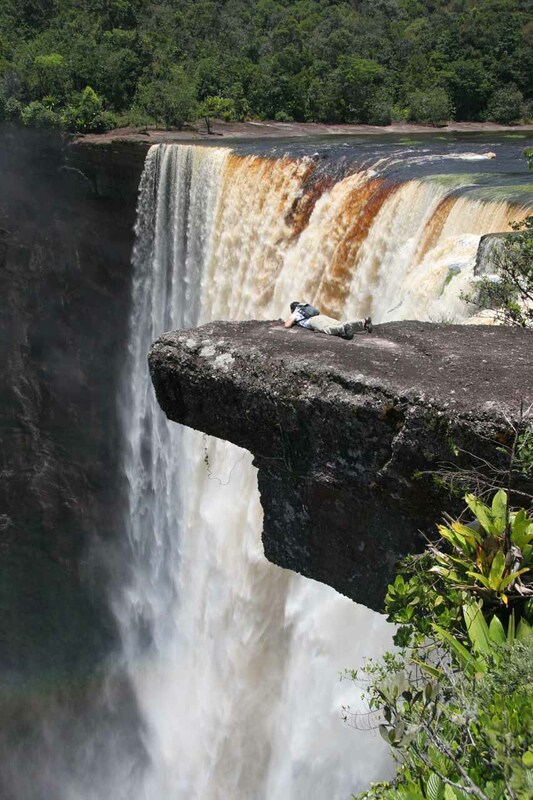 Indeed, the plateau that allowed this waterfall to possess its mammoth drop was known as the Guyana Shield. What we learned that was so special about this geological quirk was that it was said to be the oldest layer of rock on the earth’s surface at 2.99 billion years! 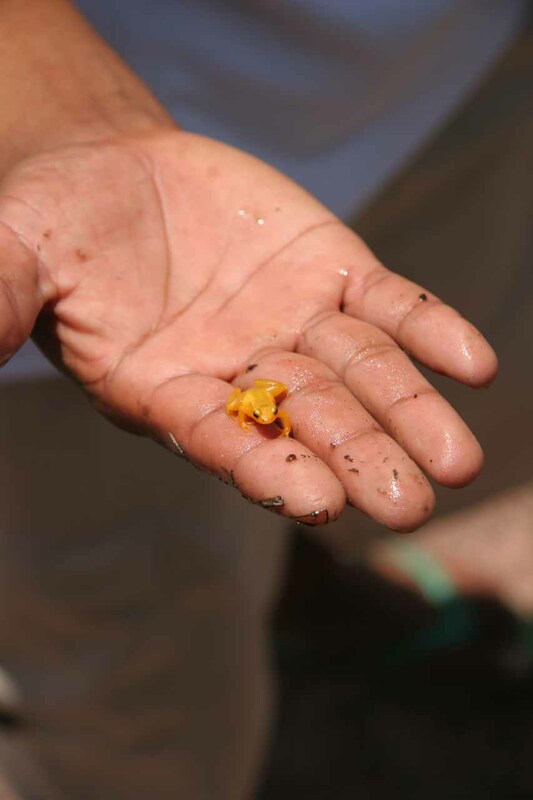 We got to witness some rare wildlife such as the dimunitive golden frog and a type of plant that attracts and digests insects. 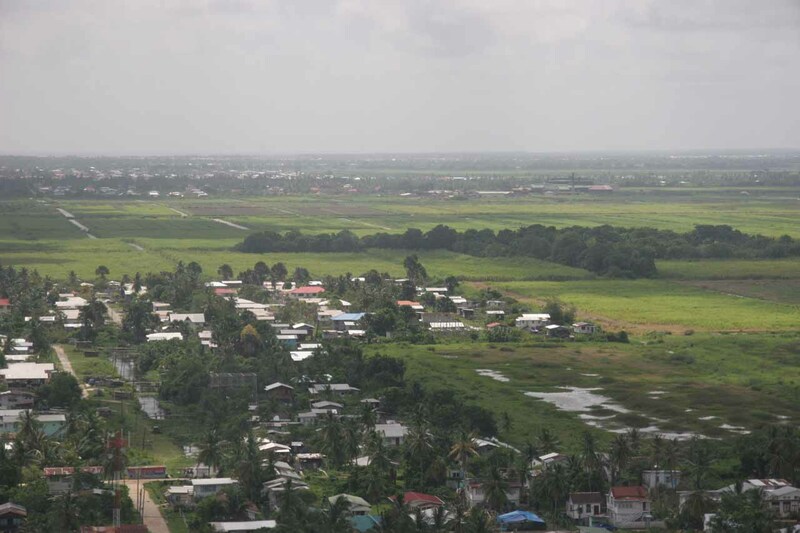 In fact, when we expected lots of mosquitoes or other biting insects, we were amazed that the immediate area seemed to be devoid of such insects, and we wondered if it was largely due to these plants! 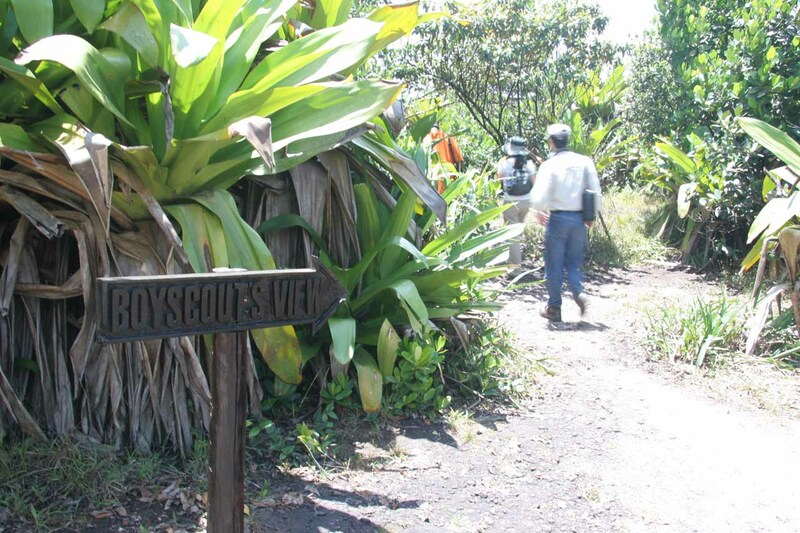 Our guide showed us other plant species that seemed to be specialized to this area such as a multitude of broad-leafed bromeliads, which seemed to have some uses for the local inhabitants here. 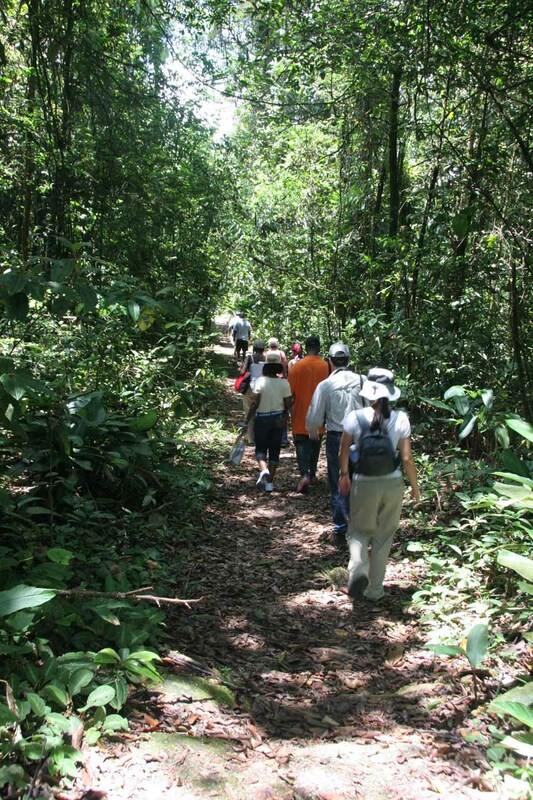 Although we didn’t witness them on our visit here, our guide also mentioned there were resident big cats like the jaguar as well as other mammals like monkeys. 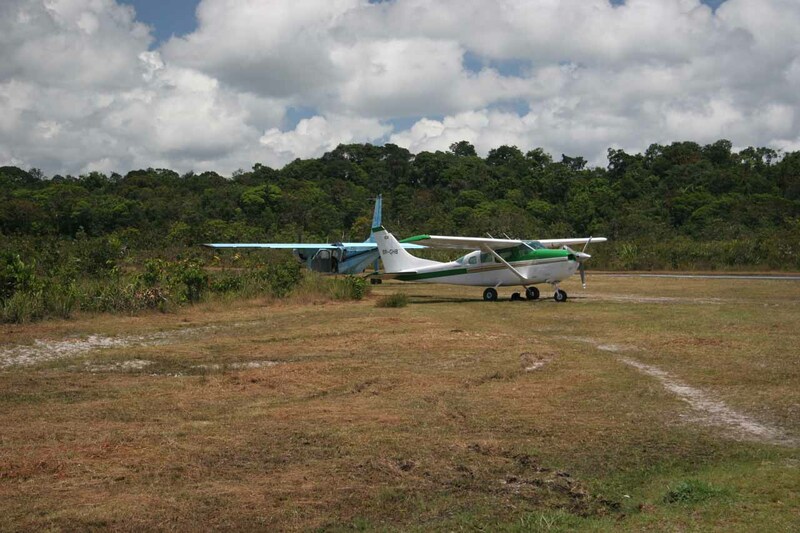 Speaking of ancient and pristine rainforest surroundings, we indeed didn’t see any signs of civilization (including roads) around the waterfall itself except for a few buildings and a tiny airstrip nearby its top. Given the relative lack of civilization, this had to have been the closest thing to seeing a reasonably accessible waterfall in its most natural settings that we think would be possible in modern times like today. 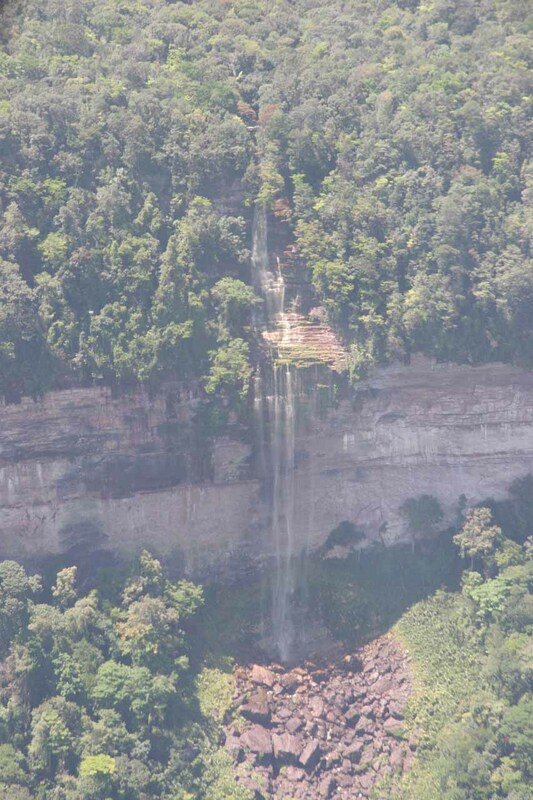 So that was yet another thing about this falls that really stood out to us. 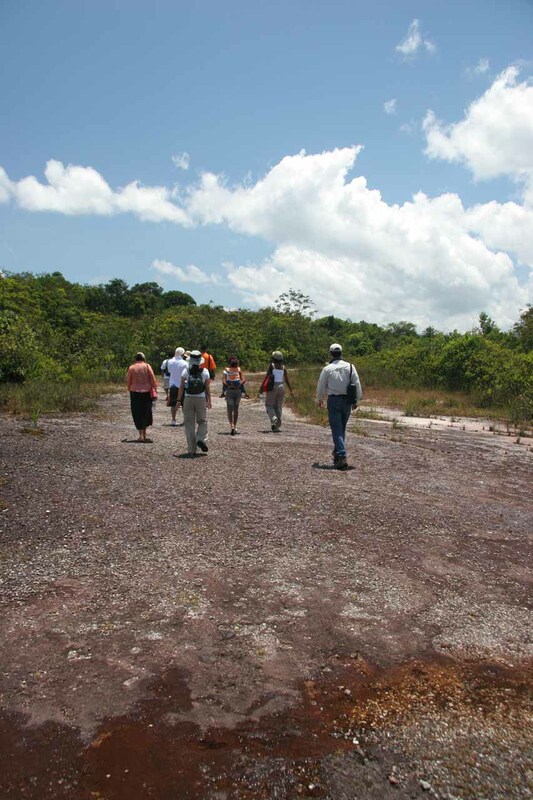 In terms of the human heritage of this area, it was said to still be inhabited by native Amerindians. 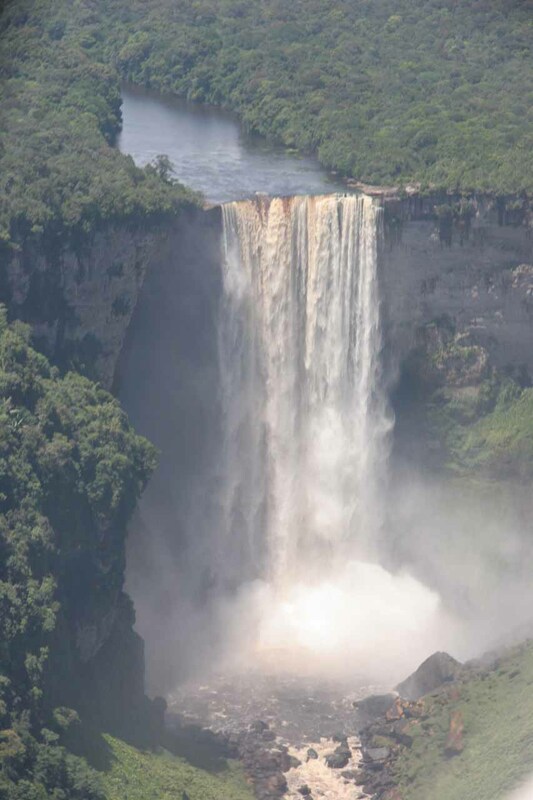 In fact, Kaieteur Falls was said to be named after an Amerindian chief by the name of “Kai” who gave his life by canoeing over the falls. Apparently he did this in order to protect his tribe from a rival Carib tribe by means of divine intervention (i.e. I guess the Great Spirit would intervene if Chief Kai sacrificed himself). 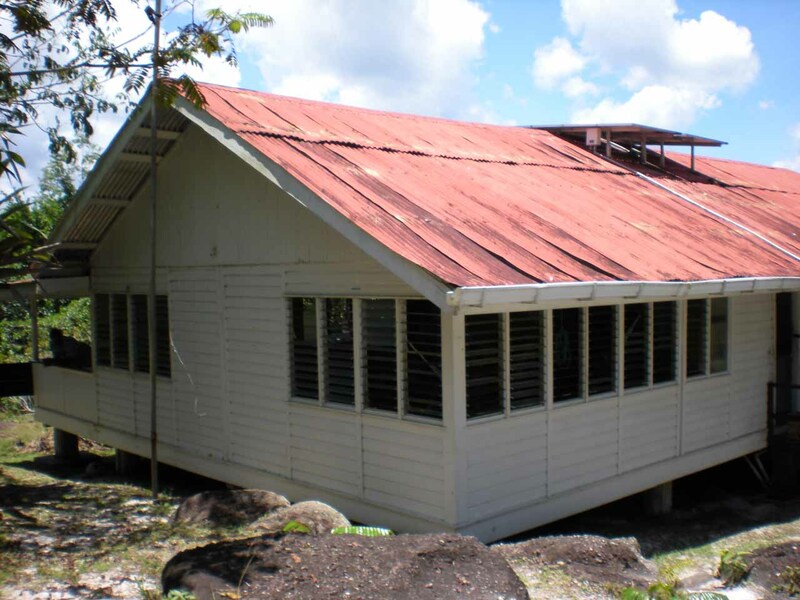 The word “teur” meant falls in the native Amerindian language so technically it would be redundant to include the word “Falls” in Kaieteur. 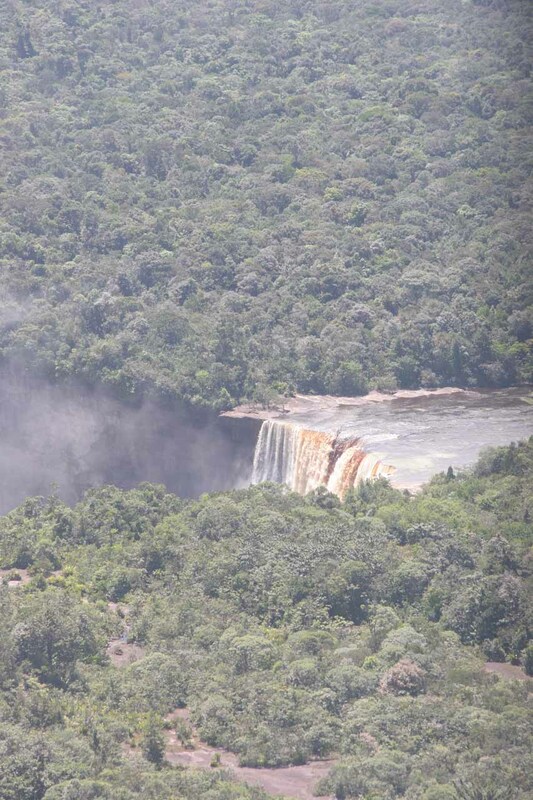 So what was it like to visit Kaieteur Falls? 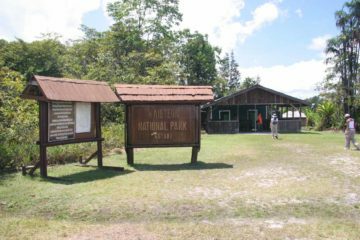 Well, on the day tour that we took (see directions below for details on the logistics), we did a short hike with many stops from the airstrip to the waterfall and back. 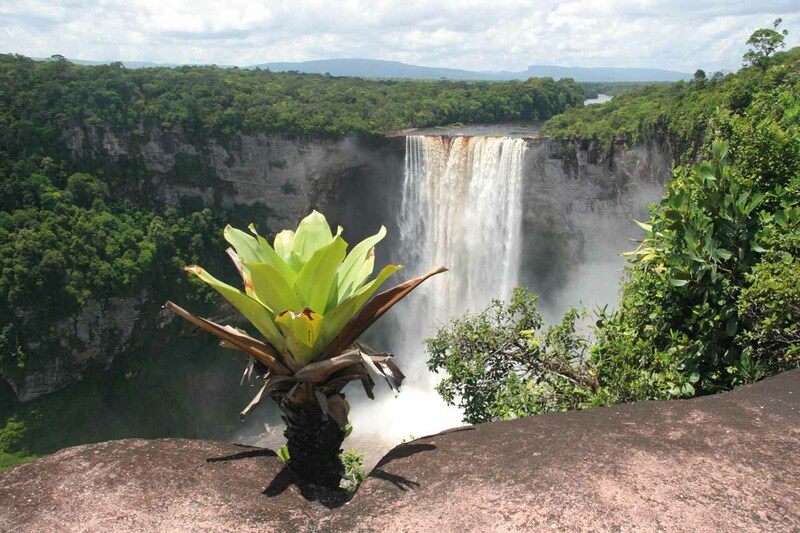 I recalled there were at least three or four stops with views of the impressive Kaieteur Falls during this hike. The overall time we spent up there was about 90 minutes. The first major stop along the way was at the so-called Boy Scout’s View. From here, we were able to get our first frontal look at the falls on land. The overlook got its name because local boy scout troops were initiated only after hiking from the bottom to this viewpoint at the top of the gorge. Given the height of the ledge we were on, this hike must’ve been a pretty big deal. The next lookout was called Rainbow View. 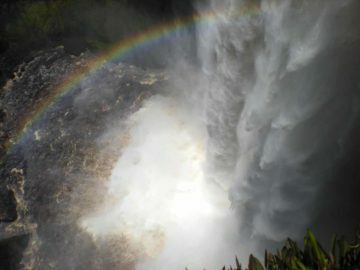 True to its name, we were able to see rainbows in its wafting mist (see photo at the top of this page). 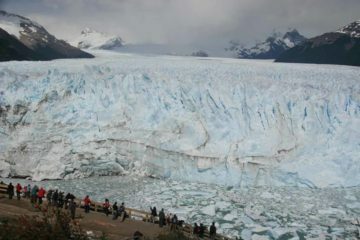 Since we were closer to the top of the waterfall, the viewing angle from here was a little more severe and less direct. 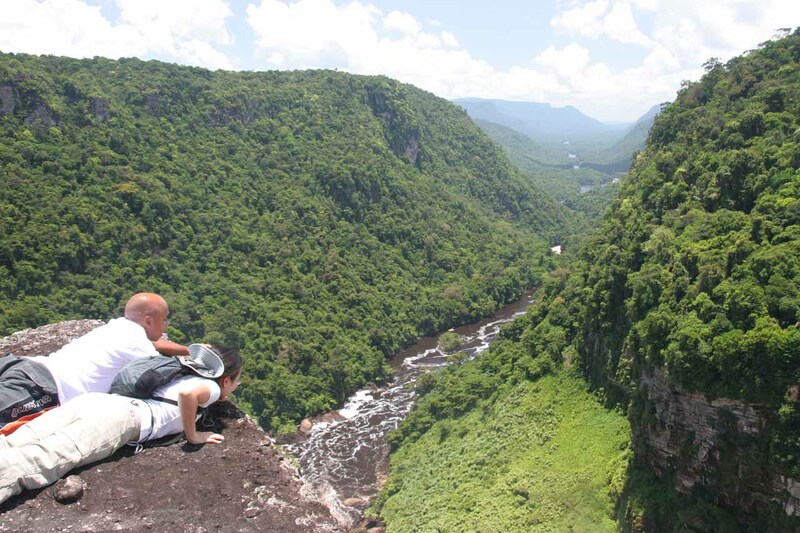 We were also very careful about getting too close to the edge of the ledge for that unblocked view without the ledge showing up on the bottom of our photos. 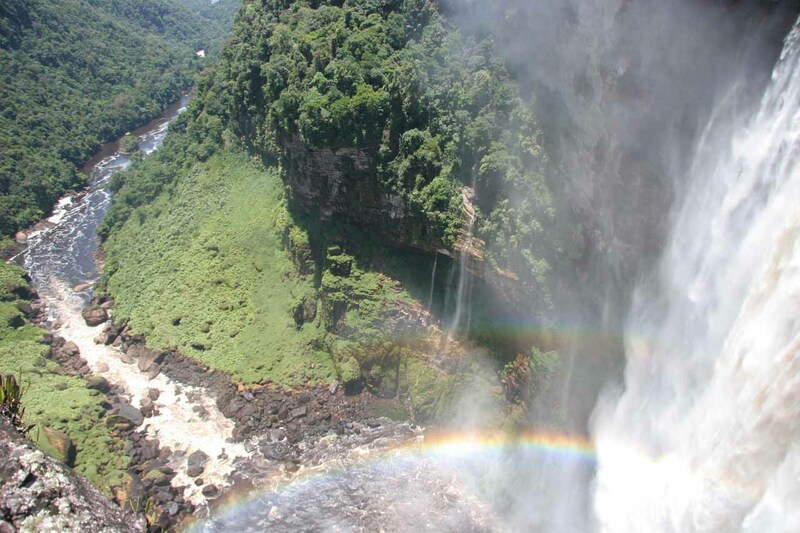 Finally, we stopped right at the brink of Kaieteur Falls, and that was where we got to experience the power of the Potaro River, the thunder of the falls itself, and the vertigo of being right at the edge of cliffs with sheer drops. 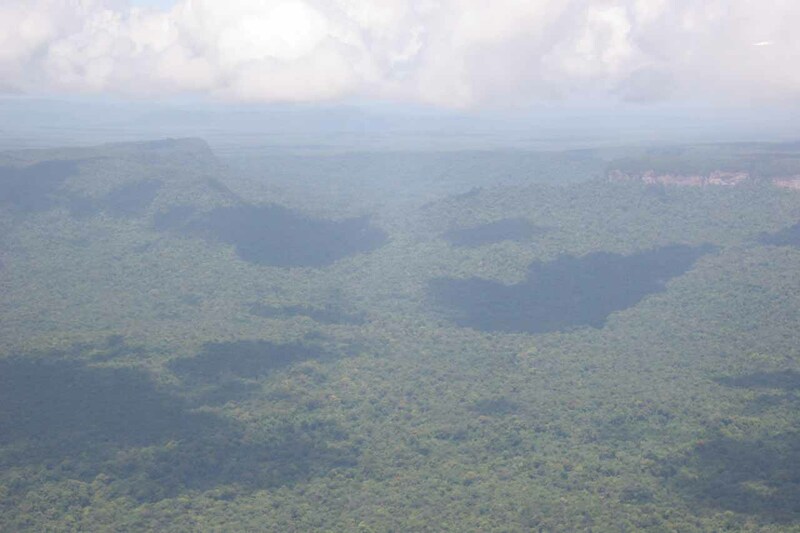 We were even able to get on our bellies while atop a protruding rock and look down at the misty turbulence of the base of Kaieteur Falls and the pristine rainforest valley further downstream. So you may ask how do you go about seeing this world wonder? Unfortunately, with all things that are worthwhile in life, you’ll have to earn it. 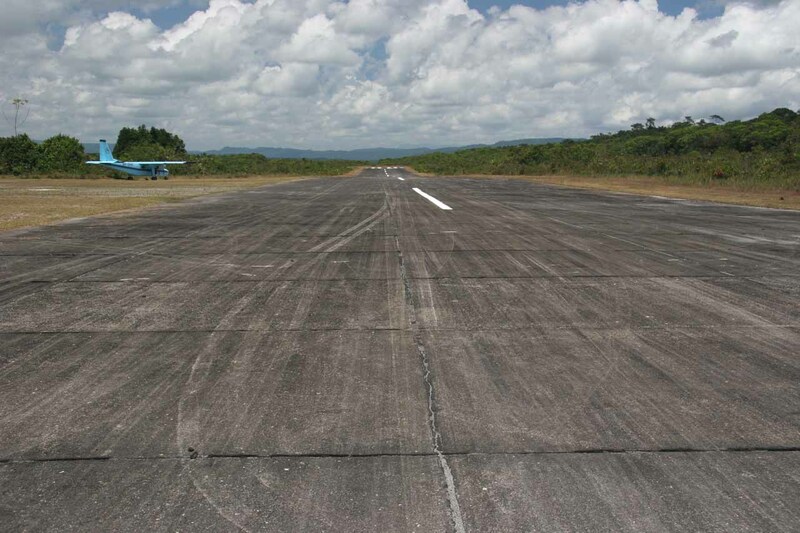 To make a long story short, we had to fly from Georgetown to the airstrip by Kaieteur Falls (so it wasn’t exactly an eco-friendly way to tour a place that was about as eco as it gets). 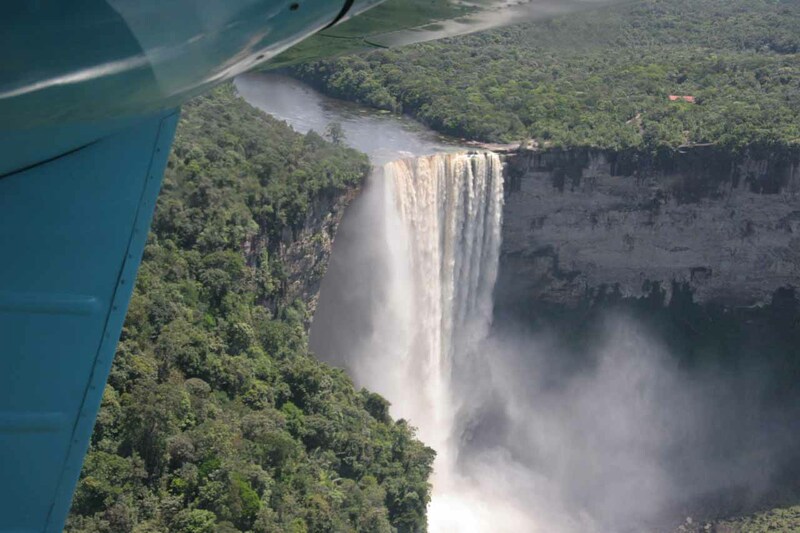 When all was said and done, we then flew to another waterfall before flying back to Georgetown. I’m sure there are other ways to visit the falls, but the way we did it respected the limited amount of time available to us (especially since we were only here for the long Labor Day Weekend). I’m sure with a few days (and nights) more, we could have done more exploration and better appreciate the subtleties of this ancient land. 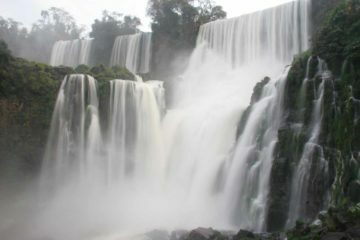 We probably could’ve also seen other major waterfalls in the country. Kaieteur Falls: When Is The Best Time To Visit? 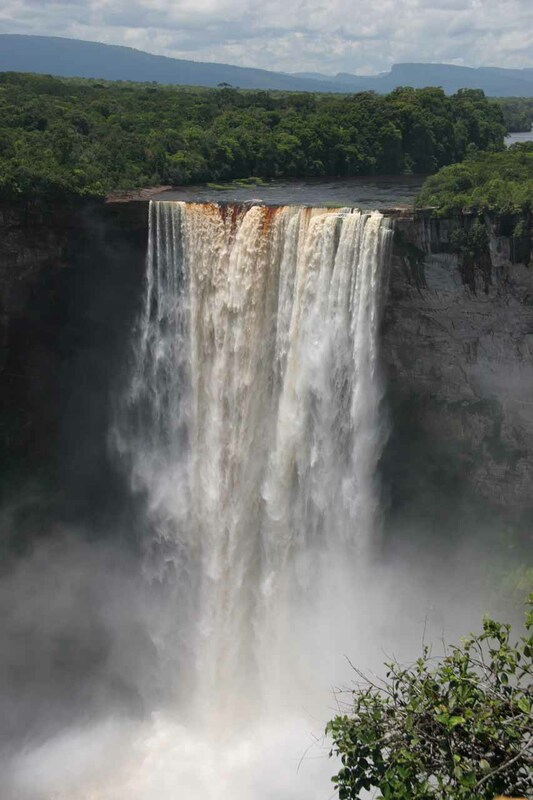 Kaieteur Falls: How To Get There?